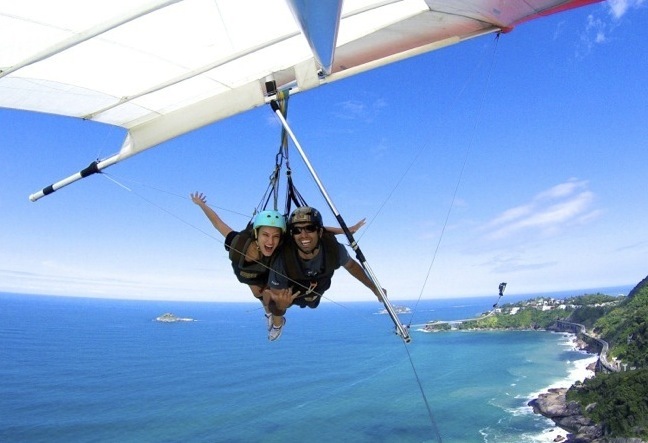 Meeting point at Urca – Introduction to safety equipment and techniques – Climbing 2 to 4 hours – Trek back – Return to the meeting point. 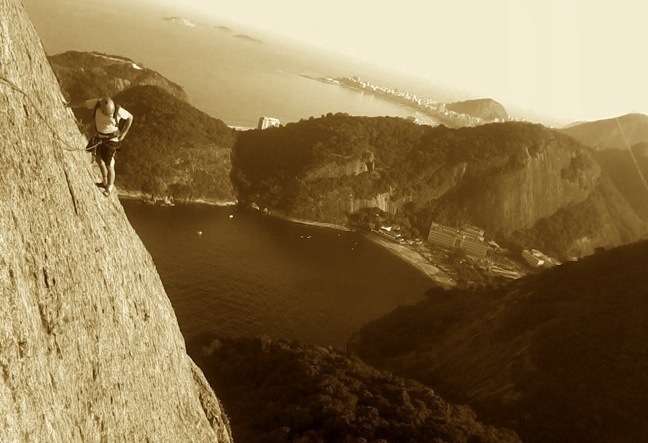 Rio de Janeiro is considered amongst the most attractive places in the world to practice rock climbing. 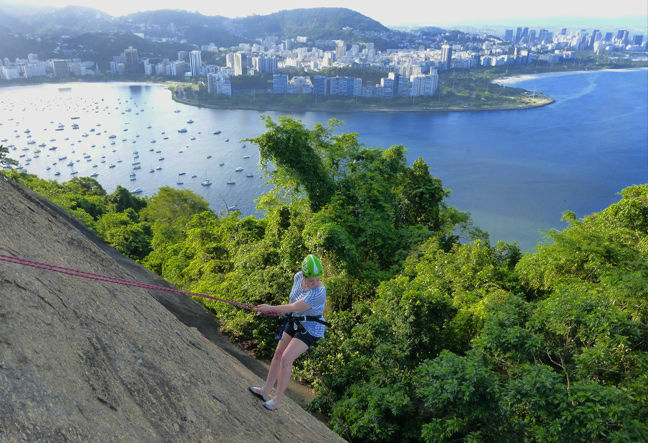 The city offers a wide array of different rock climbing routes including Urca, Tijuca Forest and the Serra dos Orgãos mountain range an hour away from Rio. 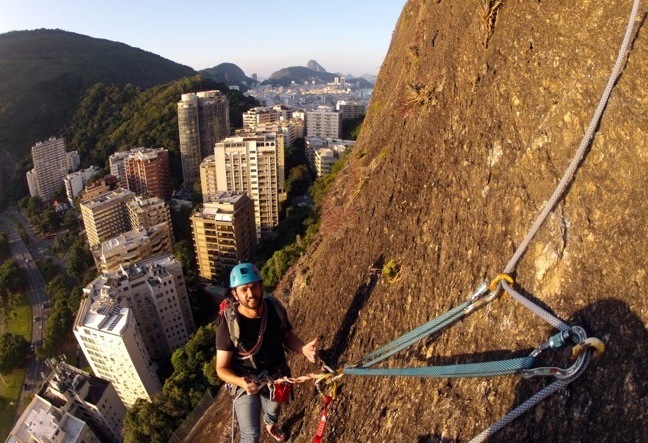 How about trying one of the many possible rock climbing routes throughout the city? 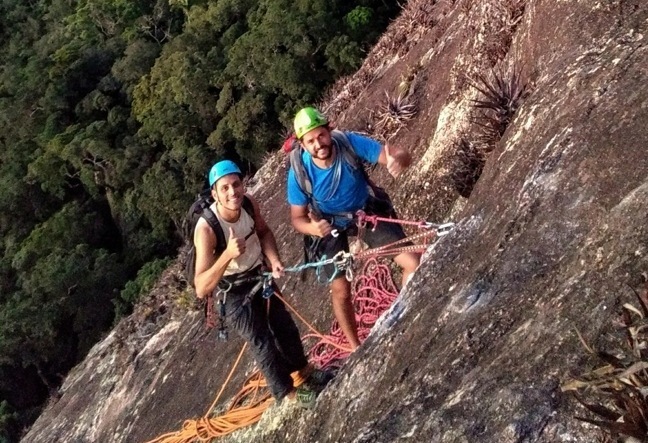 We made a selection of the very best routes to help you find the ideal climb for you! 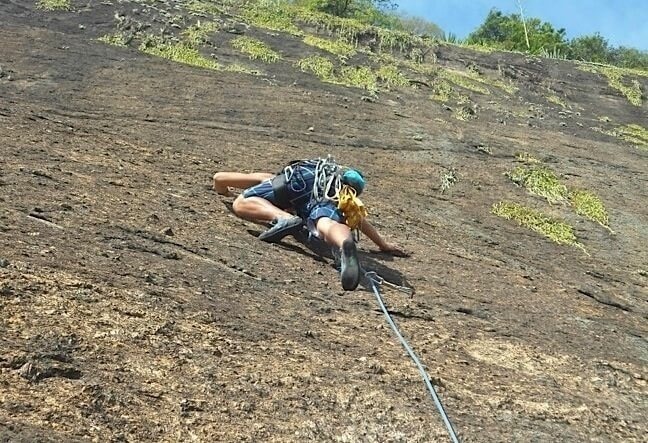 Called Coringa (Joker, in english), on the south face of the Sugar Loaf mountain, this route is suitable for those with some experience in rock climbing. 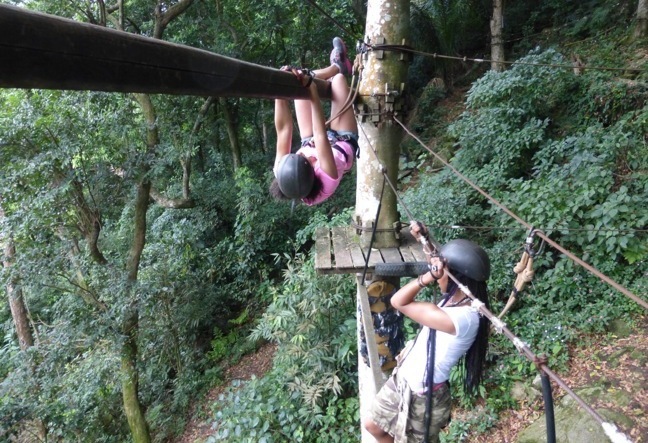 The route Coringa offers to the climber new thrills and adventures! It is a classic climbing, of intermediate level. 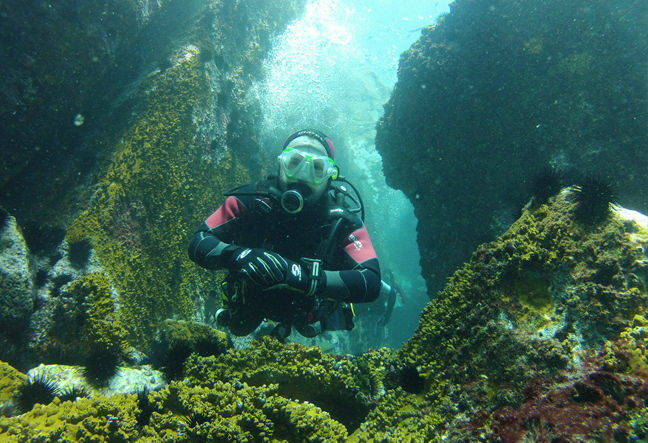 Considered quite safe, the Coringa has very close clamps and doubles stops. Its full line is 100 meters long. 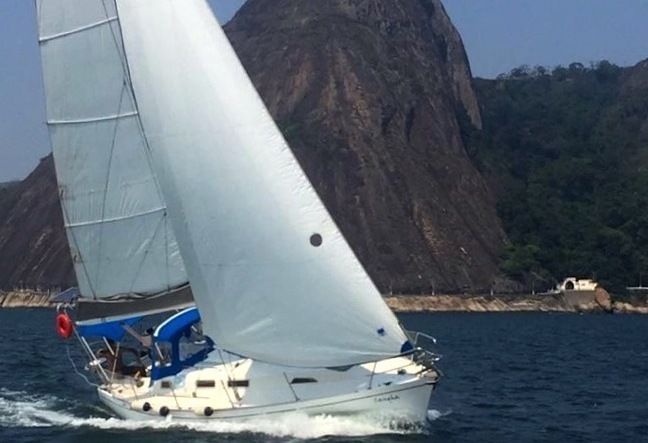 At the end of the route Coringa, we find the pathway known as Costão do Pão de Açúcar, which is on the east face of the mountain. 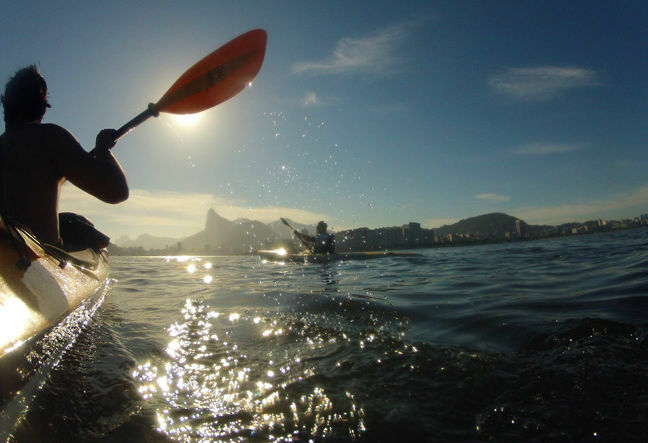 Through it, we will go to the Sugar Loaf summit, 396 meters high, where we have a stunning view of the city. 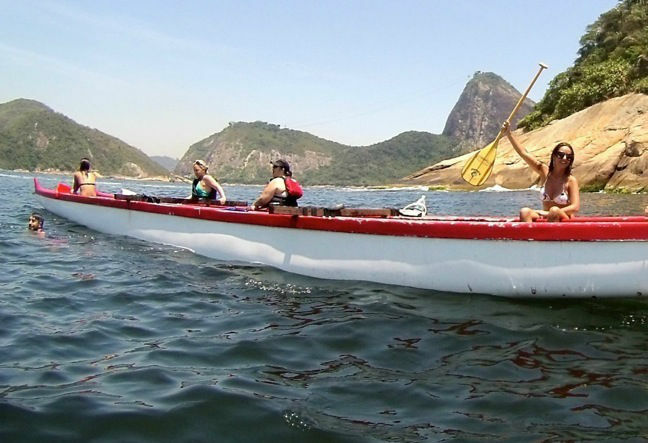 There are several ways to get to the top of Sugar Loaf Mountain and reach this incredible monument! One is climbing the route of the Italianos, located on the west face of the mountain. 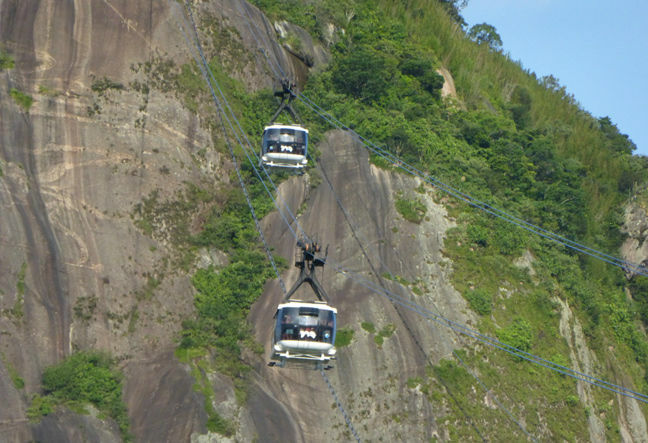 Their line is below the cable car and gives us an insider’s view of the marvelous city. 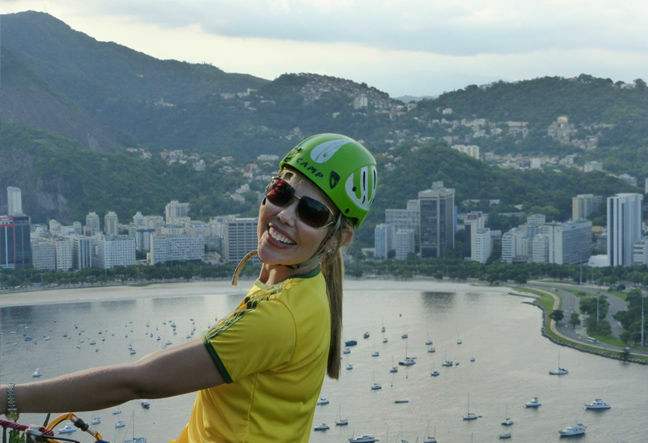 Perhaps this climbing be the most classic climbing route of our city … Exciting, breathtaking and impressive are just a few of the adjectives that you’ll use when making this tour. The trail leading to the base of hard climbing on average 40 minutes and climbing lasts 3 hours. 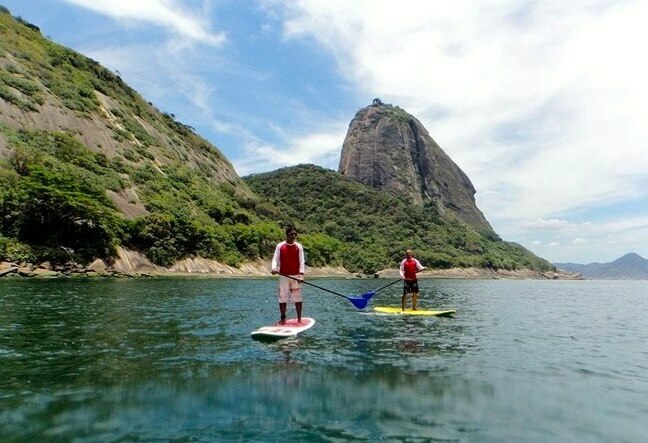 After that, we descend by cable car from the Sugar Loaf to the Morro da Urca. From there, we go down in an easy trail that takes about 30 minutes. 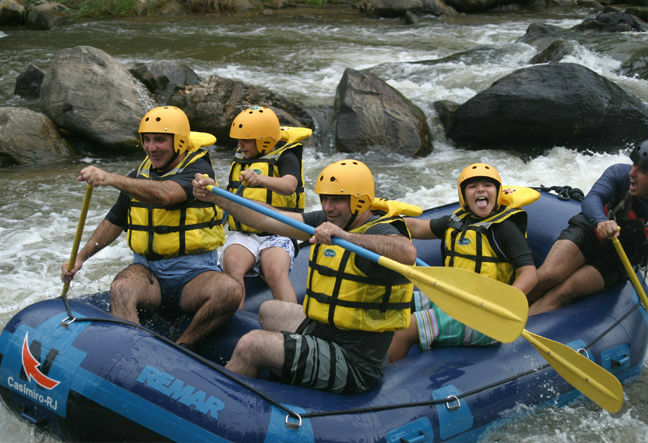 The Rock Climbing tour depart daily, you can choose the date and book it to suit your schedule.